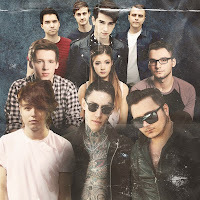 Want to attend The Ready Set and Metro Station's upcoming fall tour? Well, we want to send you there in style! 2) Tweet: "Hey @AlterThePress! I want to see @TheReadySet and @MetroStation in [insert city, state of show you want to attend] this fall!" The contest closes on October 1st. Meet and Greet is for winner and guest. Merch items are for the winner ONLY.